Fatah central committee member Abbas Zaki says the US is "an enemy" and "the cobra's head," following failed UN bid. In a recent interview with Russian news network RT, Fatah central committee member Abbas Zaki threatened the US following the Palestinian Authority's (PA) failed UN bid demanding recognition and Israeli withdrawals. "The whole world should understand that the US is an enemy, pushing Israeli extremists to carry on with their actions, depriving us of our rights, and supporting Israel in everything,"said Zaki, despite the fact that American and Israeli funding keeps the PA afloat. 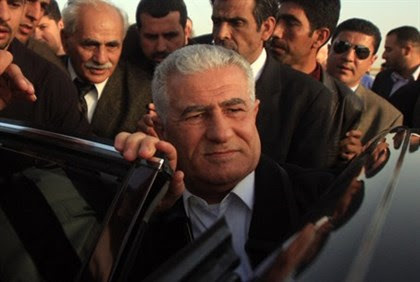 Zaki, who is the former representative of the Palestine Liberation Organization (PLO) to Lebanon, was interviewed in the wake of the PA's unsuccessful bid to secure a UN Security Council (UNSC) resolution in favor of Palestinian statehood this week. Zaki insisted that the latest developments in the UNSC were not a failure for Palestinian Arab diplomacy. Zaki concluded by stating that the “civilized world stands on our side, in particular – France, Luxembourg, Russia and China." All four states voted in favor of the PA resolution. Zaki has a long history of venomous statements. He recently opposed his organization's aspirations to sue Israel for "war crimes" at the International Criminal Court (ICC), explaining that it would hinder terrorism. On official PA TV in March, Zaki called Israelis "an advanced instrument of evil," claiming "Allah will gather them so that we can kill them." A few weeks earlier, he said on TV "none of us, especially in Fatah, has ruled out the military options" against Israel. The month before that, he told Syrian TV that any agreement Abbas reaches with Israel will merely be the "first stage" in destroying Israel. Zaki similarly revealed the not-so-secret intentions of the PA back in 2011, when he said "if Israel withdraws from Jerusalem, evacuates the 650,000 settlers, and dismantles the wall, what will become of Israel? It will come to an end."